The topic of proper training can be made complicated. We can obsess about every little detail behind optimal workout frequency, number of sets, exercise selection, rep ranges, rep speed, time under tension, resting between sets and more until building muscle effectively seems like an infinitely complex process involving rocket-science precision and an intimate understanding of human physiology. Yes, all of these individual factors need to be addressed and properly laid out when structuring an effective training routine… but at the heart of it all lies ONE key principle. One principle that your ENTIRE training program should be based around. 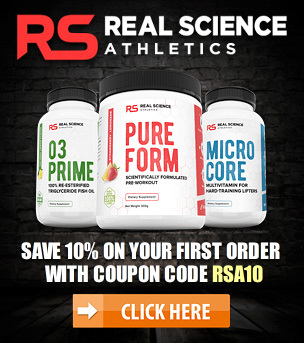 You’re completely ignoring the very foundation of the entire muscle building process. 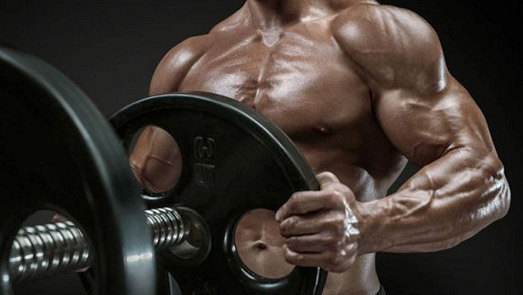 1) Train with a sufficient level of intensity in order to stimulate the body’s muscle growth mechanism. When you go to the gym, you place your muscles under stress by lifting weights. Each repetition closer to muscular failure creates deeper inroads into the muscle and causes what are called “micro-tears”. In other words, you are voluntarily inflicting damage on your muscles by breaking down the fibers. Muscle growth is an adaptive response to that stress, and therefore, it’s critical that the level of stress be high enough during your workouts in order to give your body the proper incentive to grow. The plain reality is that you will not make significant increases in muscle mass and strength or transform your physique to a truly impressive degree unless you’re prepared to train at a level that is at (or close to) your maximum potential effort. Exactly how intense should your workouts be? As an overall guideline, I would recommend taking the majority of muscle building sets that you peform in the gym approximately 1 rep short of concentric muscular failure. Concentric muscular failure is the point at which you are unable to complete an additional positive repetition of a given exercise in proper form despite your greatest efforts. In other words, you’ll want to continue your set to the point where, if you were to give a 100% all-out effort and push with every ounce of strength, you’d only be able to manage 1 more rep using proper form. Do keep in mind though that if you are completely new to weight training then it will definitely be best to ease yourself into the gym and gradually build up your training intensity using lighter weights first. It is very important that you always utilize proper form and make sure that your joints and connective tissue are not being stressed too heavily. The goal here is to safely push your body to its limits. Once you have learned the proper form for each exercise and feel comfortable with the various movements, you can then begin to ramp up the intensity over the course of a few weeks. 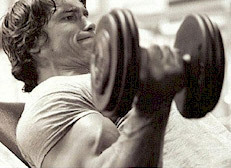 2) Consistently increase the amount of weight lifted on each exercise over time. In order for the muscles to continually become larger and stronger from week to week, you must gradually increase the amount of weight you lift on each of your exercises over time. In doing this the body will continue to adapt and grow to the ever increasing stress. Think about it; if you were able to squat 200 pounds today, and were still using the same weight 3 months from now, do you think you would have experienced any considerable muscle gains during that time? Your body would have adapted itself to squatting 200 pounds and will only progress further when it is presented with a workload beyond that capacity. This is why it is so incredibly important that every single time you set foot in the gym you have your plan of attack in mind. You should know exactly what you accomplished in the previous week and what you are striving to achieve this week. Since the ultimate goal of everything you accomplish in the gym is consistent progression, then quite clearly the central basis for building muscle is to build strength. This is a universal law of muscle growth and is by far the #1 most important principle in your entire workout plan. It’s all about getting better each week. What must I do this week in order to improve upon last week? This is the ultimate bottom line. Just make sure that any time you add weight to the bar, your form and technique is not compromised. True progression means that your form remains exactly the same every time you increase the weight. If your range of motion begins shortening, you start using excessive momentum, your rep speed increases and/or your technique just gets downright sloppy, you’re simply adding weight at too fast a pace. Building muscle is not a sprint; it’s a marathon. Keep your ego in check, take your time, and focus on gradually increasing the weight while maintaining perfect technique at all times. Not only is lifting heavier weights with inferior form NOT going to help you gain muscle faster, but it’s going to greatly increase your chances for injury as well. Train hard. Focus on getting stronger. Repeat. If you aren’t grinding it out in the gym by training fairly close to your limits each time… and if you aren’t adding weight to the bar consistently… you can be rest assured you won’t be building any considerable new muscle either. Get a notebook and a pen and start tracking every workout in detail. Write down the exercises you performed, the number of sets you did and the number of reps executed for each one. Next time you enter the gym, your entire goal is to “beat the logbook” by either adding slightly more weight to the bar or cranking out an extra rep or two with the same weight. It doesn’t matter how good your memory is or how much you insist that you “keep everything in your head”, you must keep a written record of every workout you perform. By doing this you will have a visual representation of the exact weight you used and reps you performed in the previous workout. 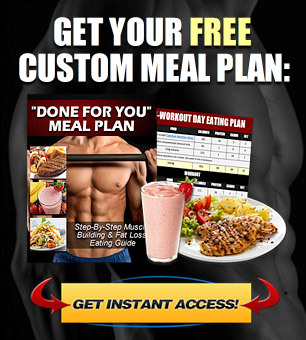 This is an extremely powerful tool and will enable you to progress as fast as you possibly can. By keeping a written record versus just remembering, you will be much more motivated to increase your weight and reps since you’ll have to hold yourself accountable if you fail to do so. It is also very motivating to be able to look back at previous weeks of training and have a concrete record of the increasing weight and repetitions. The difference from week to week will be minor, but when you extrapolate it over months and years of consistent training, you’ll be amazed by the gains you’re able to make. It still boggles my mind that 90% of people in the gym don’t do this… but then again, it’s no surprise that 90% of people never make any real progress either. 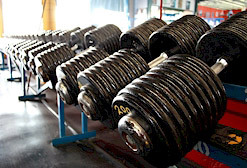 The law of progressive overload: treat it with respect, revolved the basis of your entire workout plan arond it, and the difference in your results will be like night and day.